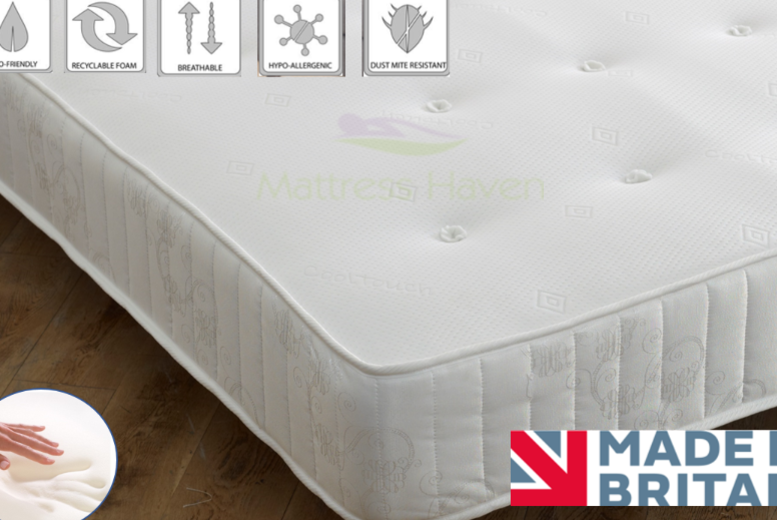 Get a medium-firm cool-touch semi-orthopaedic sprung mattress. Choose from small single, small double, double or king sizes! Memory spring mattress with a layer of memory foam Made from hypoallergenic materials – don’t worry about bacteria and mites! Treat yourself to the kind of blissful sleep that dreams are made of. For a perfects night sleep!